Trainee surveyors Eren Boyraz, Tom Horton, Hugo Langlois and Jamie Mayland completed the assessment of professional competence (APC) this year with Vail Williams achieving a 100% pass rate. In keeping with Vail Williams’ commitment to staff development, the property advisors paid for Eren, Tom, Hugo and Jamie’s training. Colleagues within the firm, many of whom are former APC assessors, supported and guided the trainees during the two-year training scheme. The Vail Williams trainees took part in a three-day training course, internal mock interviews, submitted of a portfolio of evidence, undertook lots of practical experience and were interviewed by a RICS panel to complete the APC. Matthew Samuel-Camps, Managing Partner at Vail Williams, said: “On behalf of everyone at Vail Williams I would like to congratulate Eren, Tom, Hugo and Jamie on this achievement. We’re immensely proud of the hard work and dedication shown by all four and we’re thrilled to have been able to support them as they worked towards achieving their goals of becoming chartered surveyors. 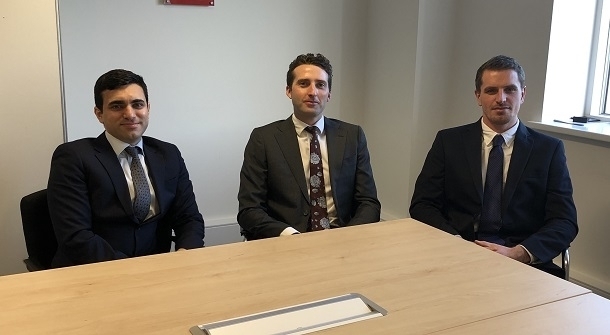 Tom is based in the Lease Advisory team in Thames Valley, Hugo is based in the Investment team in London and Jamie has recently moved from Thames Valley to work within the Valuation team in London.